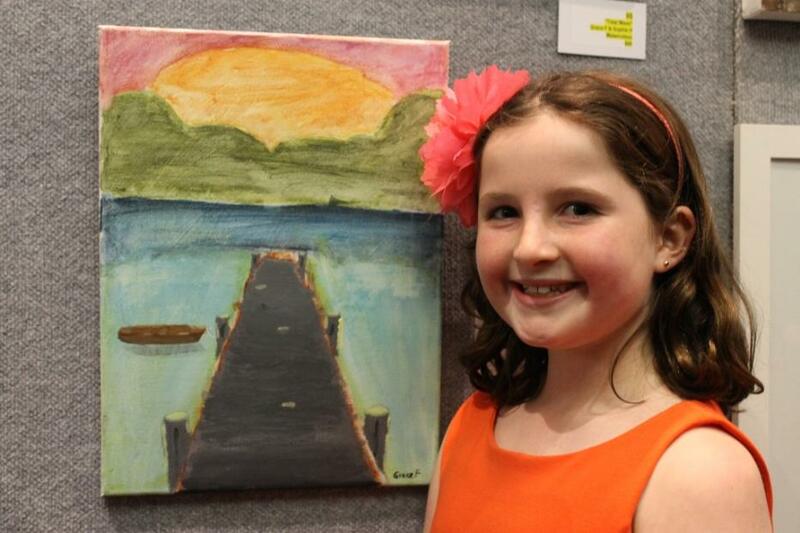 Grace Fisher with her artwork 'The Sunlit Wharf' which won an Encouragement Award on Friday. Picture by A J Guesdon. 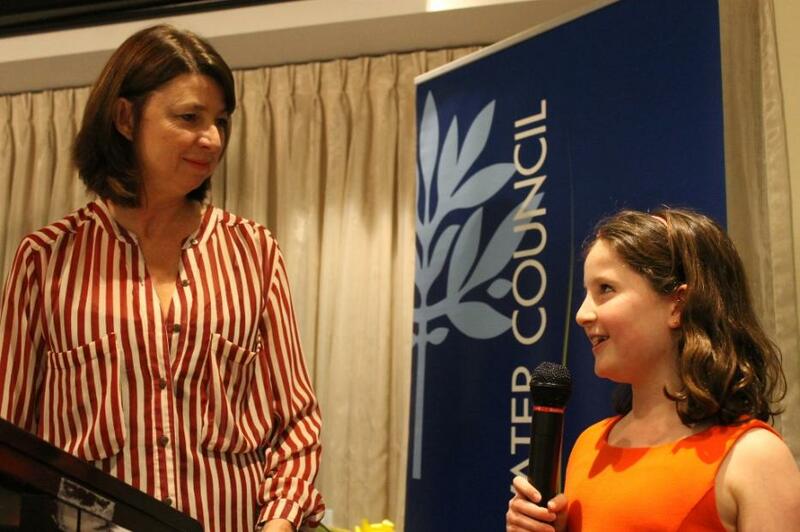 Newport student Grace Fisher won a Meredith Rasdall Visual Art Encouragement Award on Friday evening and will one term of Children’s Art Classes from this renowned Pittwater artist. Grace told us her inspiration is from a beach near her home. She began with the wharf and then added the other parts of her painting, working step by step until she was happy with it. This is the second year a special student category for 10 to 13 years and 14 to 18 years has been part of this great local Art Exhibition and 48 entries fileld the walls with colour on Friday from our budding young marine artists. The best entry in each division received a $250 cheque and two entries were recognised with an ‘’Encouragement Award’’ donated by Meredith Rasdall Visual Art. Meredith Rasdall with Grace on Friday evening.